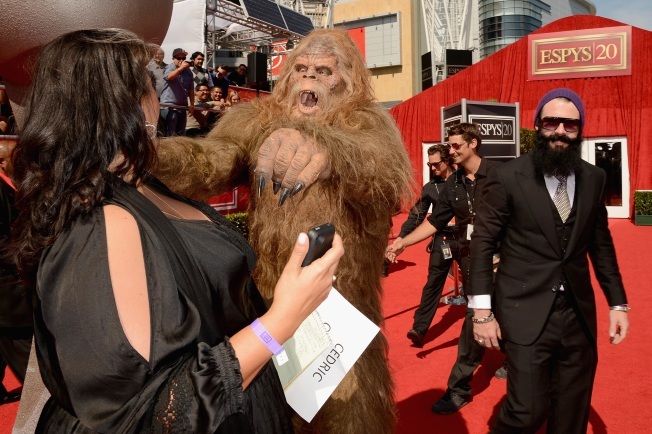 San Francisco Giants pitcher Brian Wilson took a Sasquatch as his date to the ESPY Awards Wednesday night. Brian Wilson is at it again. 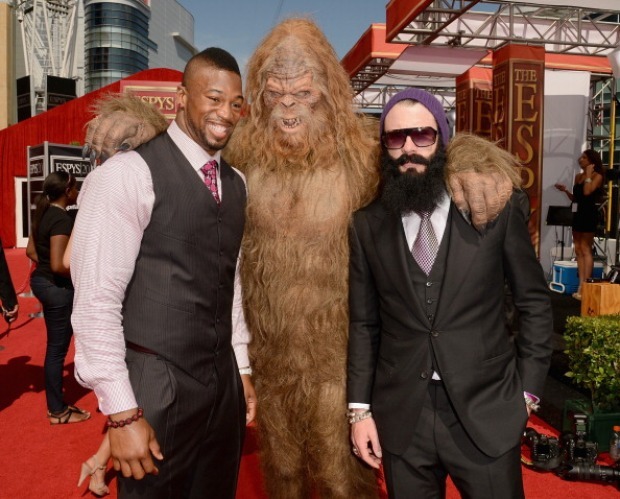 The eccentric San Francisco Giants closer, who is out for the season after undergoing his second Tommy John surgery, appeared at Wednesday's ESPY Awards at the Nokia Theatre in Los Angeles with an unusual plus-one: a Sasquatch. It shouldn’t have come as much of a surprise. After donning a skin-tight spandex tuxedo to ESPN’s annual awards show last year, dressing like a sailor for an appearance on George Lopez Tonight and his relationship with “The Machine,” Wilson is quickly becoming the Sacha Baron Cohen of the sports world. Baron Cohen is known for dressing up in character for awards shows as a way to promote his upcoming movies and apparently Wilson took note. A web series, Uncaged with Sasquatch and Brian Wilson, is set to begin July 23 on MadeMan.com.